Monday Morning (10 am IST) sees BB-11 as a depression (T-1.0) and pressure at 1003 mb. Winds are just about 20-25 knts, and the clouding has thinned out and are non convective, at an average temperature (CTT ) of 10c. No precipitation around the system ...though a weak centre still holds on at 15.2N and 86.2E ...New Low emerged in the Eastern Bay at 1008 mb. Shall number it if required...maybe a final report around noon ? BB-11 is back to its deep depression status. at 1000 mb and located at 15.8N and 87.4E, it has moved just 20 kms west since the last report (on current page). But core wind speeds are at 65 kmph in the NE quadrant, where the maximum clouding is recorded. The SW quadrant is sheared away, and winds there are at 25 kmph. The Southern mainland enjoying the cold wave, has resulted in the dis-intensification of the system. Dry cold air pushed into the system. The cloud top temeratures are almost down to 7c now. Not showing much convectivity. Expected to weaken and move W/NW. The pulse mentioned in the Gulf of Siam (vagaries' last report) has moved into the extreme eastern Andaman sea as an UAC. Will start telling its effect on BB-11. Colourful forecasts and very frequent changes in track forecasts have cast a shadow on the reliability and accuracy of model forecasts. True, all models go as per their computers, fed with the current parameters, but all including popular US model computers are in no position to accurately estimate the possible changes in the parameters they depend on. All judge from the possible computed estimates of wind shear, SST, pressure ridges, winds aloft and surrounding conditions. Initially, the events started much before this system was born. With this Vagaries' write up on the 10th of November: "The Arabian Sea UAC will not sustain beyond 24 hrs, hence the on going medium rains in Kerala and coastal Karnataka decrease after Tuesday. But the Bay system will move NW, initially as a UAC for the next 48 hrs. It will descend as a Low, (BB-11)by the 14th of November, around the 8N and 85E region, East of Sri Lanka. The system, BB-11 will move NW towards the TN coast as a depression." 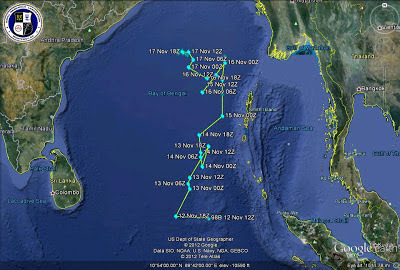 On 12th November, BB-11 formed South-East off Sri Lanka. Generally, all models expected that this system will move North and will be overcome by another system expected in the Eastern Bay, BB-12,. Almost all models forecasted the growth of BB-12 into a DD and move NE into Bangladesh or further North-Eastwards. Vagaries stated on 12th: "The tracking of BB-11 and BB-12 will depend on the tilt of the trough." 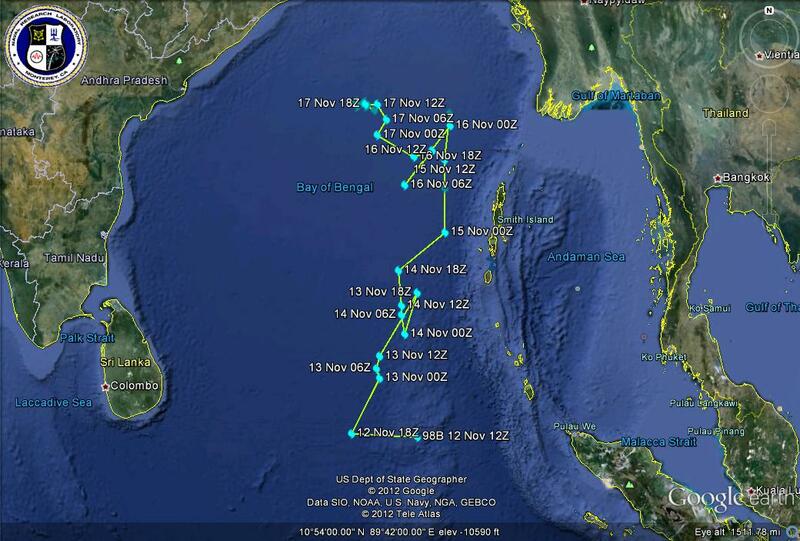 Taking its own course and time, BB-11 moved North instead, and after 4 days suddenly started gaining strength. As mentioned in Vagaries then, BB-12 has been a let down, allowing BB-11 to gain strength. As on Sunday, almost all models now, observing the changing parameter, expect this to become a cyclone, and move SW. If proved correct, it would be an absolute "un-realistic" course and direction. Very rarely (cannot remember when) have I seen a S/SW direction for such a long distance travel of a system in our seas. But, a pulse is seen forming and very slowly trudging into the Bay from the Gulf of Siam. Vagaries feel, even an UAC from this will help maintain its W/NW track (from current position). Rajesh sir - pls bless for SW movement. Navi Mumbai was cold yesterday night. Winter to set in. Darkness falls early. 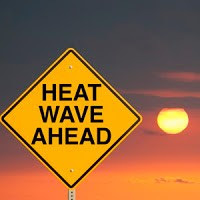 Ron: yesterday Scruz was 19c and today 15c..as per IMD. sset: Abhijit has put up all the temps of surrounding towns..hope he puts up today as well..
Ahmednagar 7.8 C lowest in Maharashtra today. All above min temp from IMD for today 18-11-2012. Badlapur max temp is 30.5 C @ 3pm today. So further 0.5 C slide than yesterday. Bay depression showing signs of weaking. Will it sustain and move SW??? Badlapur having 17 C temp at 11.30pm. Most of the homes have kept their fans off here. And Most of peoples are taking out sweaters & blankets now. here at vagaries max was 30.3c today.. Ya. Sure Sir. After Shade work is over of our Apartment. As it has just started and going to take one long month more . Will contact you also for guidance . Till then low & max might be 1 C more/less in mine readings but atleast something for reference. Rajesh Sir. You correctly predicted last night. Today morning Badlapur min temp slide to 12.5 C @ 6am . Pune Records 7.9 C min temp today that is one of lowest min temp for month of November.. At least last 10years such low was not record in month of November ! And all time min temp record was 4.6 C on 27th Nov 1964..
Now All vagaries contestant lose their Pune point in Vagaries contest for November ..
Mumbai(Santacruz)Records 14.6 C min temp for today. Even All vagaries contestant lose their Mumbai (Santacruz) point too in Vagaries contest for November ..
Wow. Badlapur cooler than Mahabaleshwar hill station.. As Badlapur records 12.5 C & Mahabaleshwar records 12.6 C as min temp for today. Ahmednagar lowest in Maharashtra today as 7.4 C min temp recorded there. Correction in Dahanu 17.1 C today. Thnx sir for the reply. u have mentioned about max temp dropping to 22 c bcoz of WD ..
5 jan 1962 shows a max temp of only 20 c but no rain !! 22 jan 1962 is recorded by IMD as the coldest day ever in Mumbai at 7.4 c.
26 Jan 1962 showed a max of only 22.8 c at Mumbai airport and rain of 6 mms (Delhi -sfd received 3 cms)..
Rohit: you are correct about 1962. My ref. of low day was with a rough ref to WD , and main note was WD coming with multiple lows below...yes,i had just expressed by memory on live chat with arpit about 1970. rohit, i am not too sure otf this 20c max in Mumbai on 5th jan '62 . where is this info from please ?